The phrase “Bomber Jacket” instantly conjures up different images for different people. For the older generation perhaps it is of WW2 flying crews boarding their aircraft heading off on another night mission. For others it may be the pilots from the movie “Top Gun”.Here the bomber jacket appeared as more of a fashion statement as high performance military jet pilots wear a full flying suit, not just a jacket. For still other people it may be sights of the members of the so-called skin-head culture appearing to menacingly stand around on the street corners. Others may have yet another view of bomber jackets and what they are. 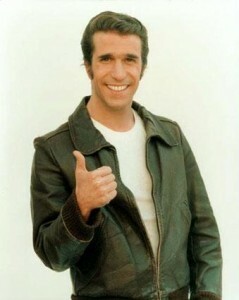 What about the Fonz in the television series “Happy Days”? So what exactly is a bomber jacket and how does it differ from a flying jacket? The 1913 Webster’s Revised Unabridged Dictionary has the definition “a short men’s jacket made of leather, having a zipper in front, knitted cuffs, and ribbed trim”. A simpler definition exists which is just simply “a jacket gathered into a band at the waist”. Both of these definitions could also describe what is called a flight jacket or a flying jacket. So it appears to come down simply to a case of local terminology. Different parts of the world have different names for the same thing. 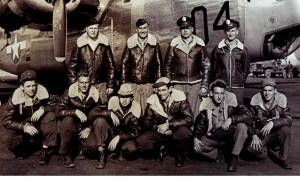 However, it is generally believed that it was the Shearling B-3 jacket that was probably the original bomber jacket. Today there are many companies producing different versions of the Shearling B-3 jacket. For those people wishing to buy one, a choice needs to be made as usual based on the final use for the jacket. Do you want a so-called fashion version or a rugged hard-wearing for use while flying or in very cold mountainous or bush regions? Choose carefully and you will end up with a jacket that will suit all of your future needs.